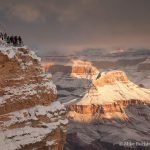 After a rock slide closed the South Kaibab Trail to mule traffic on Monday morning, another major rock slide occurred in the Flagstaff area on Tuesday morning. 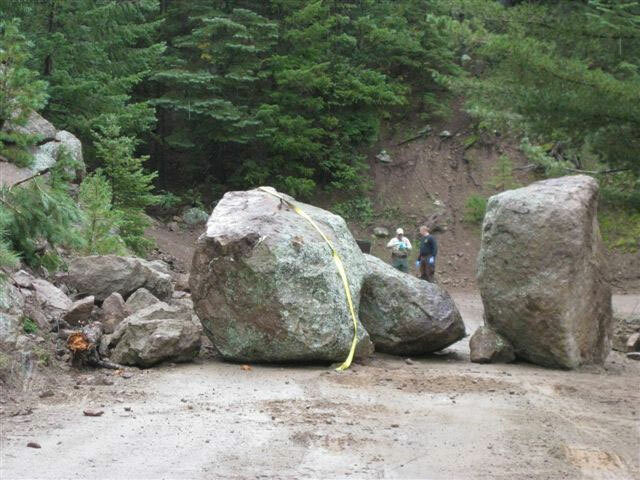 A very large boulder on the Elden Lookout Road (FSR 557) fell and severely injured a person. 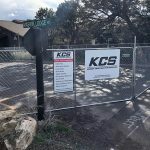 More information will be released on the incident by the Coconino County Sheriff’s Office as it becomes available. Recent rains have caused washouts, rock slides, and falling boulders and debris. For public safety, the Flagstaff Ranger District has temporarily closed several areas. To learn the areas affected, visit the Coconino National Forest Service’s Alerts & Notices page. The last two months have seen some of the wettest summer monsoon weather on record. The ground is saturated, leaving rocks and boulders loose and ready to give way at the slightest provocation. 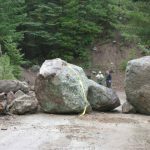 Be aware of your surroundings and know that a rock slide could happen at any time. With saturated ground, the rain has no place to go and is more likely to cause flash floods. NEVER drive into a flooded roadway! Do not drive through flowing water. It takes only 18″ of water to lift your car or SUV. Be patient, turn around and drive the other way. The water will go down quickly once the rain stops. NOAA states that more than half of all flash flood fatalities occur in vehicles. Don’t be one of them!